The Longines Heritage Diver 1967 is a modern dive watch inspired by a historical model from Longines' archives. It is in stock at Ace & Dik Jewelers in Amsterdam. The Heritage Collection has been a huge success for Longines. The collection, which features watches inspired by historical models from Longines rich and long past, is popular among collectors for both its vintage-inspired designs and great value. The Heritage Diver 1967 was introduced at BaselWorld 2015. 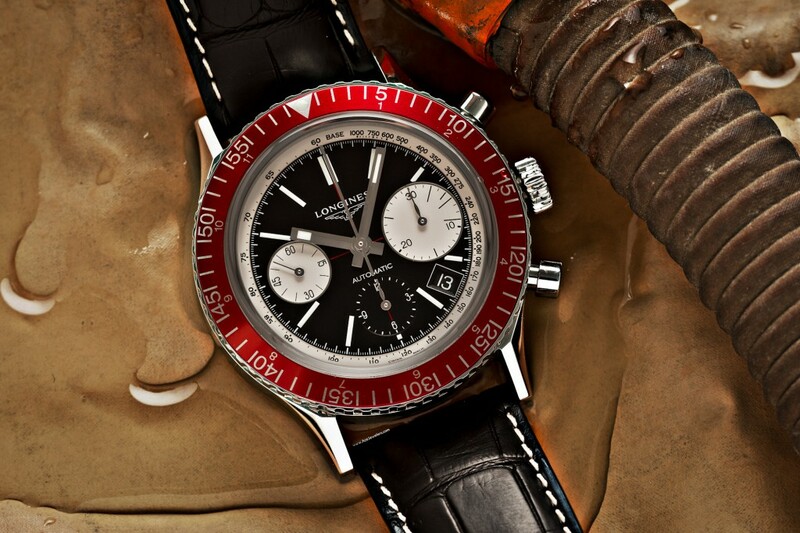 It is inspired by a dive watch Longines made back in 1967 - more accurately it is a pretty darn accurate remake. But whereas the original was powered by the hand-wound caliber 30CH, the present version is powered by a modern self-winding movement with column-wheel operated chronograph.